March is National Reading Month and my children's school has been very active in having the students doing a bunch of literary themed projects throughout it. One of the projects assigned to our kids first grade class was doing a book report. Another activity involved my wife surprising my daughter's class and me my son's as "mystery guests" to read the selections our kids did their book reports on to all the students one afternoon. We decided to take advantage of this assignment to work with our children on both advancing their reading skills and reinforcing their grasp of mathematical concepts at the same time be selecting the story books Peg + Cat: The Pizza Problem and Absolutely One Thing. Both our twins and their classmates were very attentive and interested in these math themed stories and since many kids find that a boring and tedious topic that earns each of these books A Geek Daddy nod of approval. 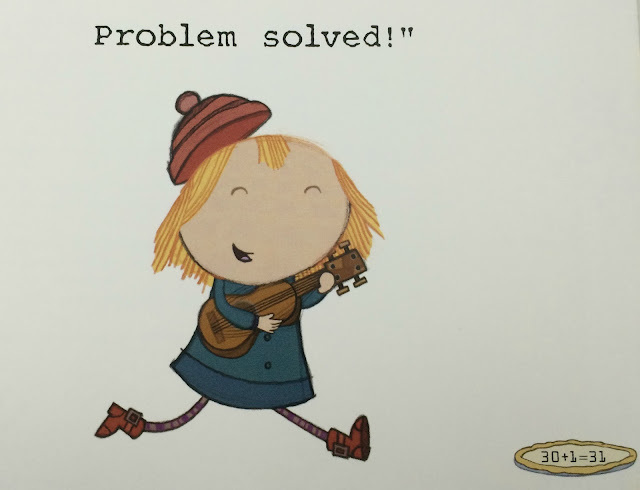 Peg + Cat: The Pizza Problem is an illustrated adaption of an episode from the Emmy award winning PBS television series Peg + Cat. Recommended for children 3 - 8, the hard cover story book is written and illustrated by the TV series creators Jennifer Oxley and Billy Aronson. 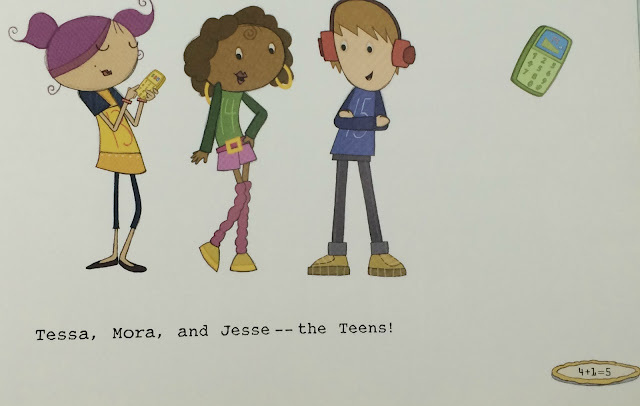 The book is full of drawings of characters that children will recognize from the popular TV series. Utilize these activity sheets based upon the story in the book to have a child help Peg + Cat solve their pizza problem. 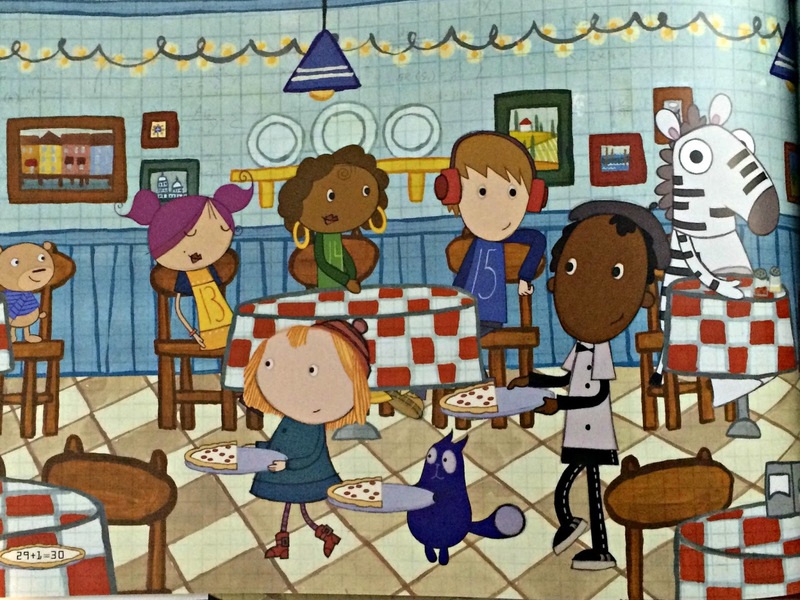 In Peg + Cat: The Pizza Problem it is lunchtime at Peg’s Pizza Place! 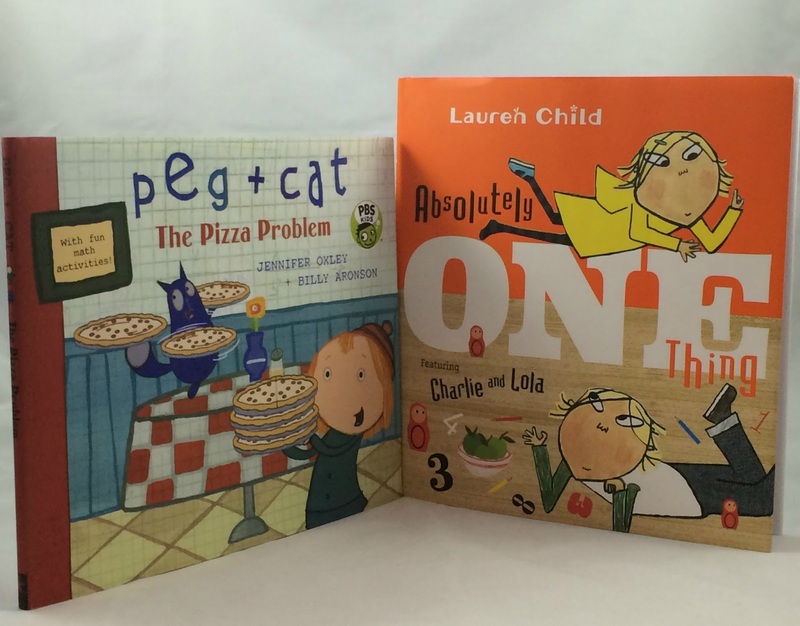 Peg and Cat are excited to take their first order — from the Teens! — only to learn that some of their customers want a whole pizza while one of them wants half a pie. How can Peg and Cat make half a pie when they don’t know what half is? Luckily, Ramone and Mac are there to help, with a slice up the middle of the pizza. As more customers come in, things get entertaining, with Peg singing a jazzy song and Cat doing a dance. But soon there’s another problem: four orders, but only two and a half pizzas left. Peg is totally freaking out — until Cat reminds her that when it comes to halves and wholes, it’s all in how you slice it. 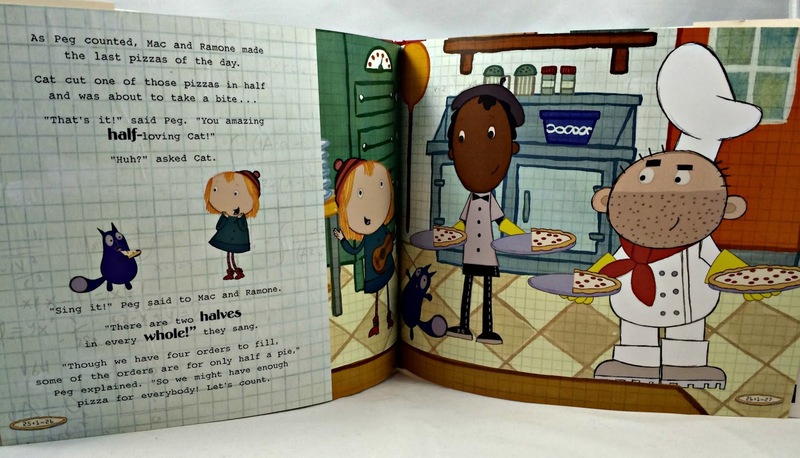 Some of the nice touches to Peg + Cat: The Pizza Problem include a book jacket that when flipped over contains the same activity sheets I've embedded above, a ruler imprinted on the front and back covers showing the height of the book's pages, the use of shapes to demonstrate proportions, and how the page numbers are a tally that can be added up continuously through the book. While my children were at the upper end of the age recommendation for this book it was nice they could read it on their own and it had a message that reinforced their math knowledge. Plus when we read it to their classes all the students were entertained and got a positive educational message from the story. The other mathematically themed story book we explored was Absolutely One Thing. Written and illustrated by Lauren Child this hard cover story book is recommended for children aged 4 - 8 years old. This book demonstrates that while numbers can appear overwhelming or confusing they don't have to be and can actually be rather simple to understand based upon how you approach them. 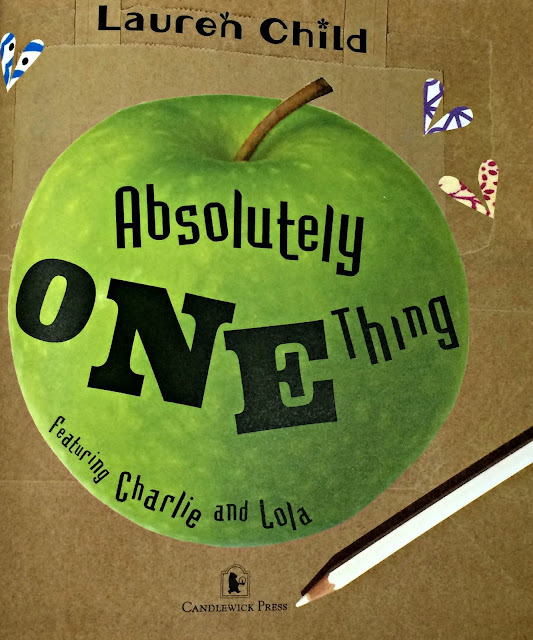 Absolutely One Thing is the story of how Mom takes Charlie and Lola to the store and as a treat lets them choose one thing to buy.“One thing to share?” Lola asks. No, it’s one thing each, explains Charlie, or two actual things between two. Lola is nine minutes late getting ready, and on the way, there are ladybugs and birds to count and maybe a squillion leaves on a tree. At the store, Lola says she’ll choose things, or possibly two. “How about no things?” asks Mom. With Lola hilariously bending everyday numbers to her will, the math goes down easy in this charming picture book loaded with visual appeal. 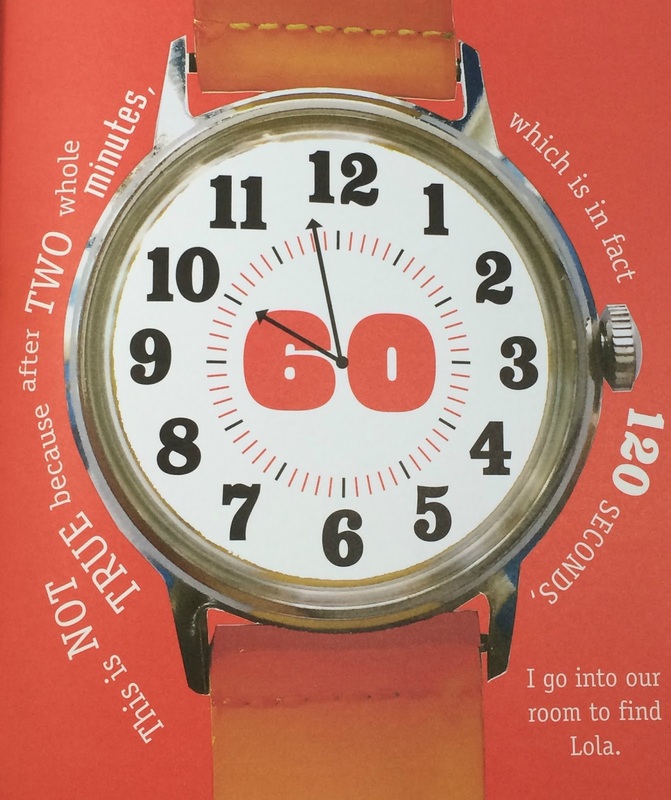 I liked how the book presents numbers so they appear cluttered on some pages which is a nice reflection on how some people look at math problems and become confused, overwhelmed or turned off at first glance but as a reader works through a page they realize that these numbers aren't really that difficult to understand or relate to. Absolutely One Thing forces readers to delve into its pages and for that they are rewarded with an amusing story. The structure of the book's layout in telling the story demonstrates that while something may look difficult to grasp at first glance when you take the time to read through something it really isn't that hard to understand after all. 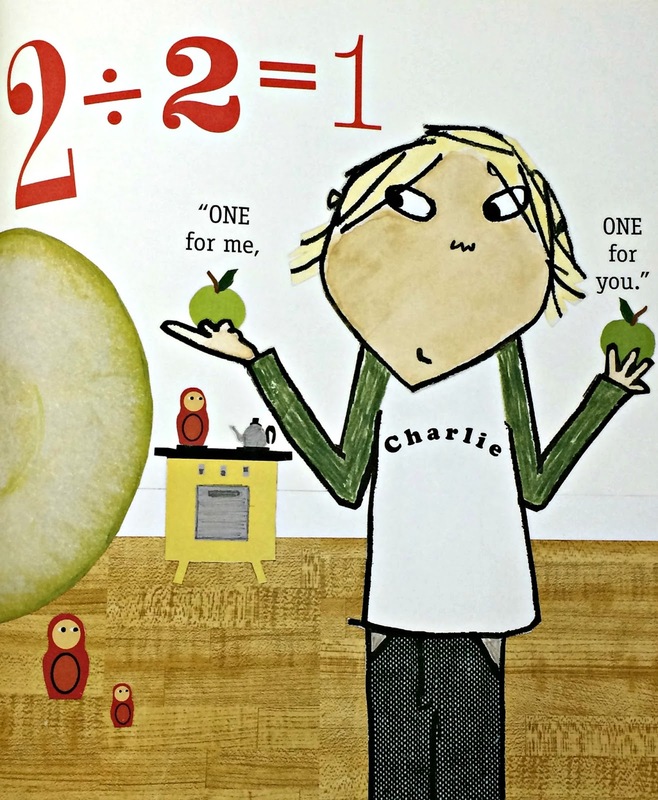 For kids that may be intimidated by the format of math this book provides a positive message through its story telling approach teaching that just because something may have a confusing appearance to it doesn't mean it will be difficult to understand if you put in some effort. The book does a nice job of addressing topics such as numerical order, addition, subtraction and multiplication. As a parent who has children that often don't have a good grasp on the value of time, it was also appreciated how Absolutely One Thing discusses the topic including how to read a watch and not being late because it impact things when you need to be someplace. I also learned something new in reading the book - squillion is a real word. Squillion = an extremely large but unspecified number, quantity or amount. If you missed out incorporating math into a child's lessons for National Reading Month assignment guess what? You have a second chance! April is National Mathematics Awareness Month which provides another opportunity to combine reading and math through books like these. 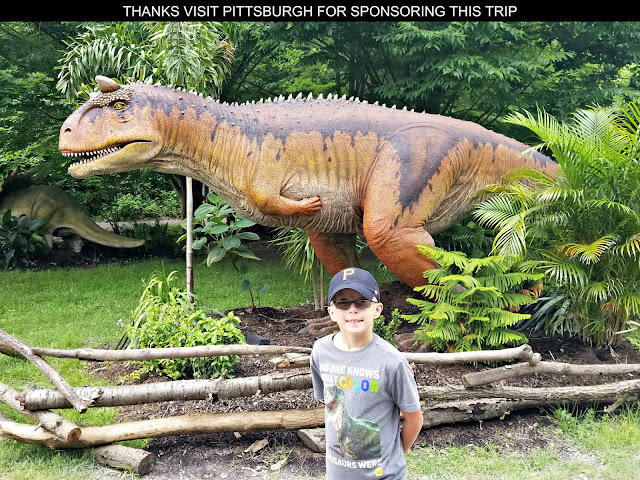 For tweens and teens you may also want to take a look at Cy Tymony's "Sneaky Math -- A Graphic Primer with Projects" that A Geek Daddy highlighted on Pi Day to help kids with Algebra, Geometry, Trigonometry and Calculus through practical activities and tips. I have a granddaughter in the first grade. I'm going to have to ask her if she has done a book report yet. I'm surprised that first graders do those. Books reinforcing math skills are great and I can see how that would make math more interesting. This is a fun idea. Reading with kids is a great way to start them off young, and incorporating math and other issues will help reinforce those too. This is a very cool idea. My youngest just had her first book report in second gradeand did a great job if I do ssay so myself! Now where were the math books like THAT when I was a kid? My kids love to read anything and everything they can get their hands on. Those books look great! What a great ideas and it makes math fun. 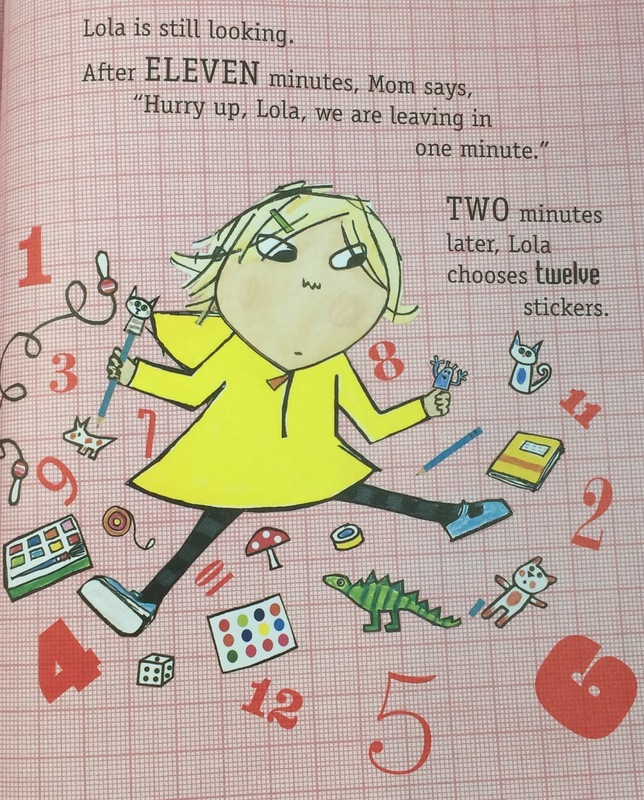 The kids love Charlie and Lola, they're so funny. WE love Peg and Cat. I just bought my son a few new books. These are some great suggestions. This is a great idea! 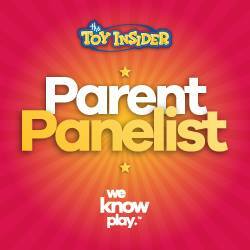 I'm going to pick up these Peg + Cat ones. My daughter struggles a little bit in a math so these would be great!